Did you know that every time a magician uses sleight of hand, he is secretly tracking your eye movements at the same time? How does a magician make a dove appear out of thin air? Amaze your friends with the secrets you learn in this fun, fact-filled Level 3 Ready-to-Read! A special section at the back of the book includes Common Core–vetted extras on subjects like geography and history, and there’s even a fun quiz so readers can test themselves to see what they’ve learned! Sheila Sweeny Higginson is an award-winning author who has worked in children’s and educational publishing for twenty years. She has written more than 100 books for children. Sheila lives with her husband Felipe and their two children in Brooklyn, New York. 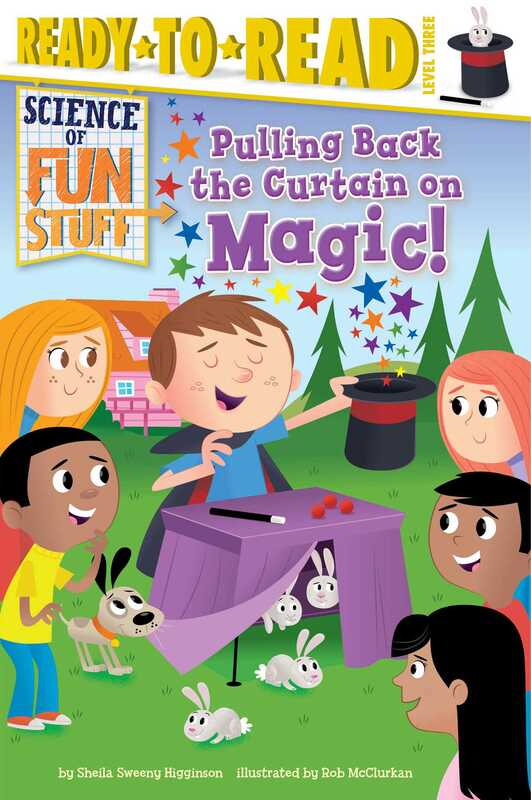 Book Cover Image (jpg): Pulling Back the Curtain on Magic!